The total amount of subsidies given to deep-sea fishing fleets is a key element to governance in the public interest, especially given that the activity has a potentially irreversible impact on extremely vulnerable species and environments. Without transparency and cooperation from fishing professionals or the public powers concerned, it is difficult to assemble the data required for a full and exacting examination of the socio-economic profile of these fisheries (profitability assessment, jobs created, various subsidies etc.). It is therefore necessary to construct a picture of their financial performance and of the subsidies they receive using information from many different documents and sources. From 1996 to 2008, Intermarché’s fleets (united within Scapêche from 2005 onwards) received 9.7 million eurosin EU and French State subsidies, for the construction, modernization or removal of their ships from their fleet. The fleet belonging to Leduc then to Euronor therefore received over 7.8 million euros of public subsidies for its deep-sea fishing vessels, 4 million of which was accounted for by the fleet exit grants for just two ships. It is interesting to note that European financial aid is divided equally between subsidies for vessel construction and subsidies for their demolition. Until recently, the Dhellemmes fleet was constituted entirely of offshore trawlers, so the subsidies received have undoubtedly played a part in the organization’s deep-sea operations. Our research examines all vessels in the Dhellemmes fleet. It can, therefore, be seen that Dhellemmes received far less in subsidies than France’s two other principal deep-sea fishing fleets, Scapêche and Euronor. Yet this non-exhaustive analysis covers the entire Dhellemmes fleet and not only its vessels practicing deep-sea fishing. Furthermore, given that, unlike Scapêche (2005) and Euronor (2006), Dhellemmes is not a new fleet, this analysis covers a longer period. It is also interesting to observe that Dhellemmes does not appear on the list of beneficiaries of the European Fisheries Fund (EFF, a European financial tool for the 2007-2013 period). Although Dhellemmes, like Euronor and Scapêche, is an unprofitable enterprise, it would seem that its financial situation is comparatively healthier and its reliance on public subsidies is far lower. Fishing professionals in France pay tax-free fuel prices – the fuel they buy is exempt from internal tax on petrol products (the French TIPP), by virtue of Article 265 of the Customs Code. They are VAT-exempt under Article 298 of the General Tax Code. This domestic tax on consumption is calculated according to the base cost of the product. VAT is calculated according to the base cost plus internal tax, meaning that the increases in the all-inclusive price are not proportionate to fuel price increases. Internal taxes on petrol products are set per fuel, with a tax base that is based on the volume of petrol product, rather than the sales price. In other words, the price increase on the primary material has no effect on the tax paid. In essence, the TIPP smoothes out price increases, but those (such as fishing professionals) who do not pay the tax suffer these increases acutely. For example, in April 2008, the internal tax on diesel oil in France accounted for €0.428/liter out of a total price of €1.291/liter. Taxes as a whole (VAT and TIPP) represented 49% of the price of fuel in France. The tax-free price at this time was €0.65/liter. Overall, fishing professionals pay only half the real price of fuel. If the five largest bottom trawlers whose lengths exceeed 40 meters, which use a minimum of 7 000 liters of diesel oil per day, fish for an estimated 310 days a year, their annual fuel oil expenditure fluctuates between 564 000 and 1.4 million euros. If the five large offshore trawlers targeting deep-sea species (three belonging to Scapêche and two to Euronor) are also included in this calculation from the time when Scapêche’s trawlers became operational (2005), the total fuel expenditure from 2003 to 2010 comes in at 34.307 million euros. Given that tax-free diesel-oil amounts to giving professionals around half of their fuel bill, the French State’s contribution to the expenditure for this period through indirect aid can be estimated at around the same amount. The French State loses around 34 million euros (its “gift” to industrial fleets), by offering tax-free fuel that benefits the five large trawlers targeting deep-sea species. The FPAP (Fonds de Prévention des Aléas de la Pêche, or Fund for the Prevention of Risks to Fishing and Fisheries Undertakings) was created in April 2004 to help fishing businesses survive the rise in fuel prices. This measure was deemed to be a form of State aid which was incompatible with the common market, and came to an end at the start of 2007. Consequently, the businesses concerned received this financial assistance for their operations from 2004 to 2006. On 20th May 2008 the European Commission ordered the businesses, and not the State, to return the 87 million euros of aid that they had been given over the three years (Commission Decision 2008/936/EC). The euro-compatibility of the Barnier Plan, and the 310 million euros promised to the sector, depended on it. For Scapêche, the FPAP represented financial contributions of: €564 000 in 2006, probably €1.23 M in 2005, and around €360 000 in 2004. IN TOTAL: The French government requested an estimated €2.15 M from Scapêche in 2010, for the repayment of FPAP funding. Given that Scapêche stopped publishing their accounts, when they found out that BLOOM was examining them, it is currently impossible to check that these amounts have been duly repaid. For Euronor, the amount to be repaid for the FPAP is estimated at over 4 million euros. The repayment of the FPAP forced Euronor to sell its capital to a redeemer (UK Fisheries) in December 2010. It is now the buyer group’s responsibility to repay this public debt. For Dhellemmes, according to these estimates, the FPAP aid received must be around 20% less than that received by Scapêche (the difference between the two businesses’ expenditure on raw materials), placing it at around 1.7 million euros. The company’s 2009 balance sheet mentions a €1.18 M “provision for risks and expenses” “for the risk of subsidy repayments”, which probably corresponds to FPAP repayments. In view of the sums at stake and the losses made by vessels practicing deep-sea fishing (see the section on financial viability, below), it is easy to understand how, on this occasion, their extreme vulnerability and their reliance on fuel brought some near to financial collapse. Whilst the main characteristics of the deep-sea environment and its species are well-known, and in some cases now uncontested (extreme longevity of fauna and great vulnerability of the habitat have become established scientific facts), detailed information allowing resources to be exploited is cruelly lacking. To compensate for this knowledge gap, numerous, systematic and ongoing research programs would be required. However, the deep-sea species exploited are, by definition, far away from us in both distance and depth. Accessing sites for study is in itself extremely costly. On top of this, the time required from ships and researchers, and the associated fuel consumption, make distant research campaigns extremely expensive. An average-sized research vessel (around 50 meters long), equipped with a remotely operated vehicle (ROV) or a submersible, costs 25 to 50 thousand USD per day. A fisheries research vessel costs 2500 to 10 000 euros per day. The size of the landings are not large enough to justify such costly research. Deep-sea fisheries are caught between ever-more restrictive management regimes requiring clear scientific proof of their sustainability and their own inability to obtain this proof because they do not land enough fish to fund fishing research campaigns (New Zealand aside). In France, however, the public authorities have so far given unwavering support to destructive fishing activities, particularly by providing public funding for research on deep-sea fisheries. The research has been so meagre it cannot support the claim that fisheries are sustainably managed, yet French citizens are forced to contribute to the wastage of finances on this pointless activity. It should be noted that to operate in international waters, fleet owners are legally obligated to provide an impact study before fishing activities begin. 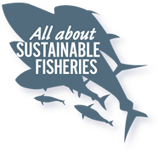 Yet evidence of sustainability and environmental soundness can only be obtained by conducting impact studies and stock evaluations, thus requiring the same exceptional level of means and expenditure as fisheries research. The unavoidable question is: given the profound lack of information on deep-sea fishing and the low landings of deep-sea species, how can the sector obtain or produce the sound and precise scientific data that it requires to continue its activities? In the context of spiraling budgetary deficit, do the volumes landed (and the resultant socio-economic weakness) justify the use of public money to bail out one or two unprofitable private businesses, which are unable, in France and elsewhere, to show evidence of ecological and thus of socio-economic sustainability? This figure corresponds to the 2005 operating subsidy, less 107 910 euros of subsidies for vessel purchase costs spread over 20 years, cf. 2.15 M euros paid out for vessels over 46m long. This amortization began in 2005. We can therefore consider that the operating subsidy in 2004 was composed exclusively of FPAP. A must-read article, which is alone in breaking the taboo about subsidies to France’s fishing sector: Benoit Mesnil, Public-aided crises in the French fishing sector. Ocean & Coastal Management, Volume 51, Issue 10, 2008, Pages 689-700. Report by Cappell, R., T. Huntington and G. Macfadyen (2010) for the Pew Environment Group: “FIFG 2000-2006 Shadow Evaluation”. Sumaila, U.R., A.S. Khan, A.J. Dyck, R. Watson, G. Munro, P. Tydemers and D. Pauly. 2010. “A bottom- up re-estimation of global fisheries subsidies”. Journal of Bioeconomics. DOI: 10.1007/s10818-010-9091-8. Sumaila UR, et al. “Subsidies to high seas bottom trawl fleets and the sustainability of deep-sea demersal fish stocks”. Marine Policy (2009). PLANCHOT Marie, DAURES Fabienne, “Le secteur français des pêches maritimes face à l’augmentation du prix du gasoil”. IFREMER Summary Note, Système d’Informations Halieutiques, July 2008.